Superintendent Martin Weekes promoted to the rank of Assistant Commissioner, the Bermuda Police Service announced today. “Following the recommendation of the Public Service Commission and the approval of His Excellency the Governor, the Commissioner of Police is pleased to announce the promotion of Superintendent Martin Weekes to the rank of Assistant Commissioner. Mr. Weekes will take up the portfolio of Crime and Intelligence,” the BPS said. “Assistant Commissioner Weekes joined the Bermuda Police Service in 1988 having previously served with Kent Constabulary in England from 1977. “He has served in a wide variety of postings including Uniform Patrol, Child Victims Unit, School Liaison and as Parish Constable for Smith’s Parish. As an Inspector and later a Chief Inspector he was posted to St George’s and Southside Police Stations. “He was more recently the Superintendent in charge of the Island’s police stations with responsibility for Community Policing. “Assistant Commissioner Weekes holds a Bachelor of Science Degree in Policing and Police Studies from the University of Portsmouth in the UK and a level 7 Certificate in Strategic Management and Leadership [QCF] from the Chartered Management Institute. “Mr. Weekes has received training in England, the United States, the Caribbean and Canada. 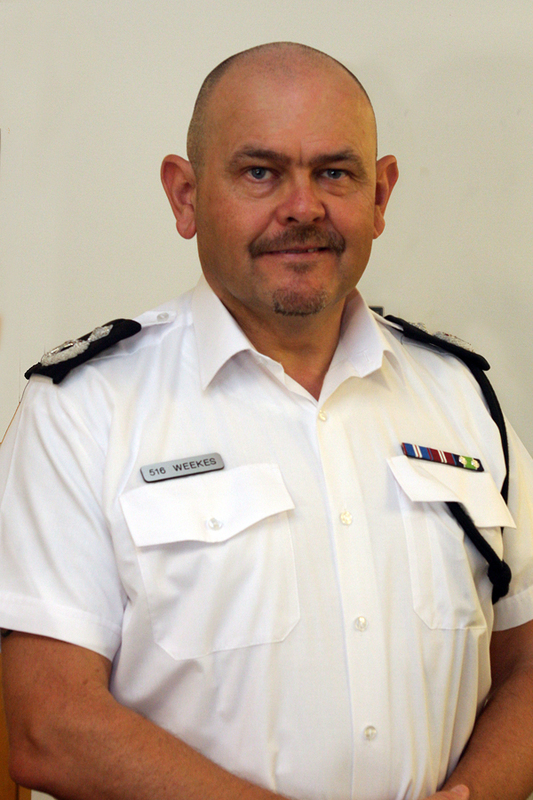 In 2011 he completed the International Strategic Leadership Programme at the College of Policing in Bramshill, UK. On behalf of my family and my late husband, W.A.’Toppy’ Cowen, I wish to congratulate Superintendant Martin Weekes on his promotion to the rank of Assistant Commissioner! Toppy had the honour to work with Martin in a variety of community endeavours during his tenure at Pink Beach Club – we send our heartiest congratulations to him and his family. From B watch to Assistant Commissioner, I am extremely proud of your accomplishments, well deserved. I have known Martin Weeks since he arrived on the Island. We are fortunate to have him as part of the BPS. Congratulations to him and well deserved.